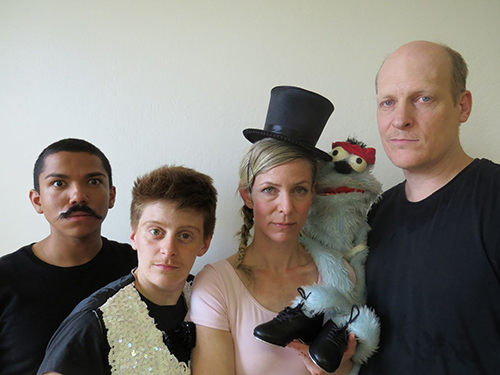 At a tap dance studio in a small town, four characters prepare for a competition. As the instructor teaches a new routine, tensions flare and dead dreams fly back to life. Unfolding in real-time, dance sections become more virtuosic, piano accompaniment evolves into full-blown songs, and interactions between characters heighten as they attempt to communicate and define themselves in the context of others. A co-production with New York City Players in collaboration with Half Straddle. Residency Support provided by Abrons Arts Center and Mass Live Arts. Made possible with support from The MAP Fund, a program of Creative Capital supported by the Doris Duke Charitable Foundation and the Andrew W. Mellon Foundation.